Blue Ridge Parkway Mile Post 324.8/600 Bear Den Mtn. Rd. 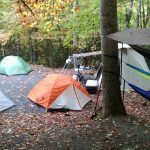 Bear Den Family Campground is “Your Base Camp for Mountain Adventure,” voted “Best of the Blue Ridge.” Our 400+ acres Campground and Cabin rentals are located in the Heart of the Pisgah National Forest. 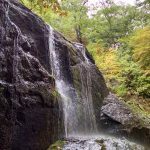 Just minutes from Linville Falls and Gorge, and centrally located between Mount Mitchell and Grandfather Mountain. 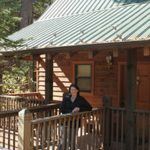 Our Creekside Cabins are open Year Round, and come fully furnished along with Jacuzzis and Buck Stove gas log fireplaces. They are nestled along a Mountain Stream which you can enjoy from the back deck. Our Campground is Open March-November (weather permitting). 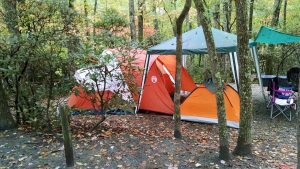 Sites: Tents, Pop-ups, RVs and Campin’ Cabins. Every site has water, electric, fire rings, picnic tables. 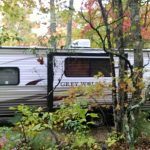 We can accommodate RV’s up to 45 foot. Facilities Include: Bathhouses with Hot Showers, washers, dryers, fully stocked Trading Post,.Things to Do: Miles of Hiking Trails, Bear Den Waterfall, overlooks from which you can see Table Rock and Hawksbill mountains, a lake for swimming & fishing, playgrounds and game room.